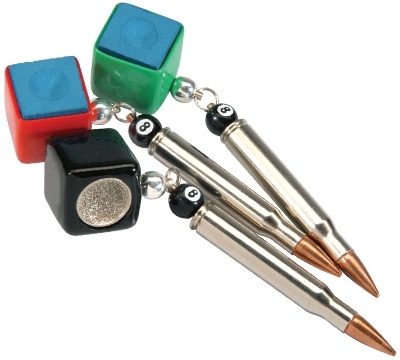 You'll love the Bullet Chalker Scuffer! It's two handy tools in one. Keep your chalk close and shape your tip with the scuffer. The scuffer is made from coated tungsten carbide, the strongest material next to diamonds. Chalk included. Specify color (black, green, or red).